Both sexes fully winged. 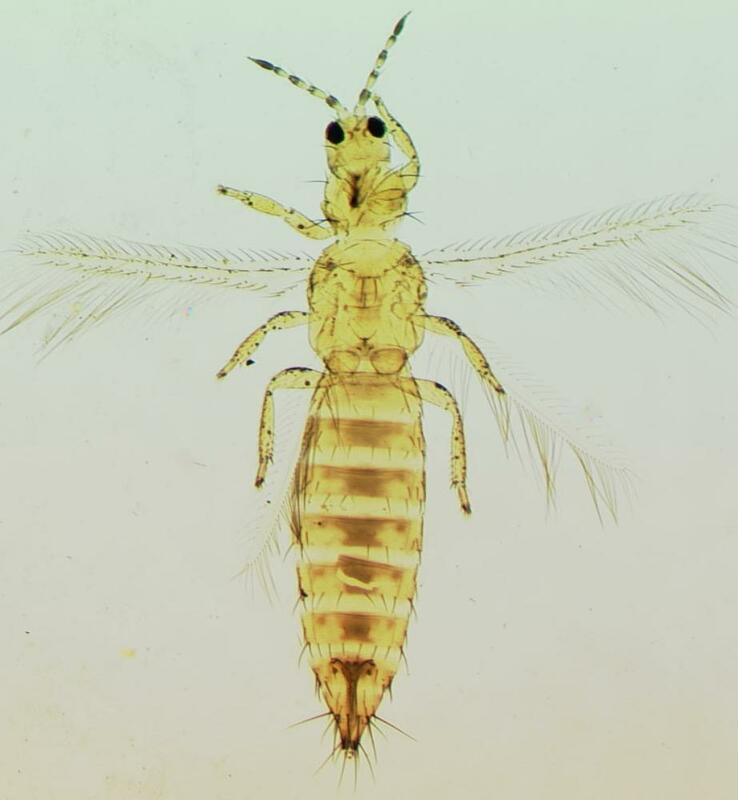 Body and legs variable in color; wild populations in California occurring as three distinct morphs (brown, yellow, & intermediate), but the widespread pest strain is usually mainly yellow with a brown patch on each tergite; antennal segments III–V yellow but apices variably brown; fore wing pale with dark setae. 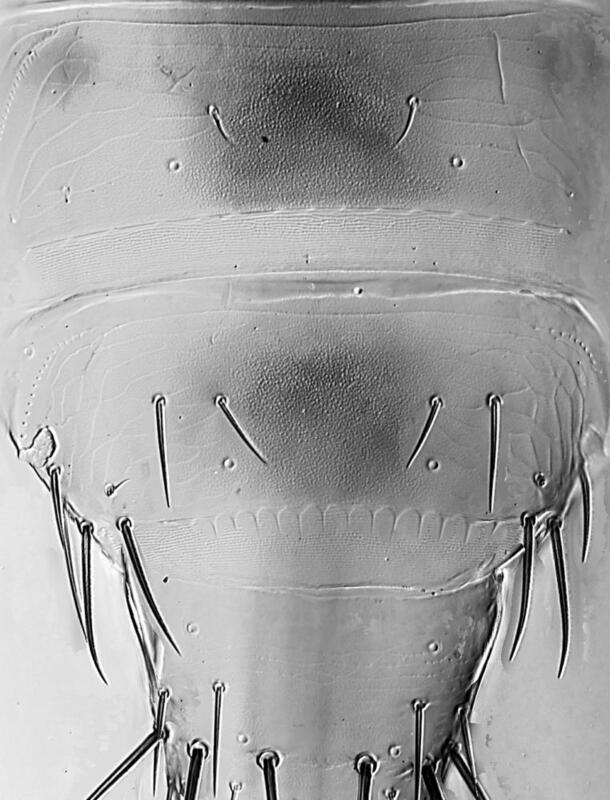 Head wider than long; three pairs of ocellar setae present, pair III longer than distance between external margins of hind ocelli, arising on anterior margins of triangle; postocular setae pair I present, pair IV longer than distance between hind ocelli. Antennae 8-segmented; segments III–IV with sensorium forked, VIII longer than VII. Pronotum with 5 pairs of major setae; anteromarginal setae slightly shorter than anteroangulars, one pair of minor setae present medially between posteromarginal submedian setae. 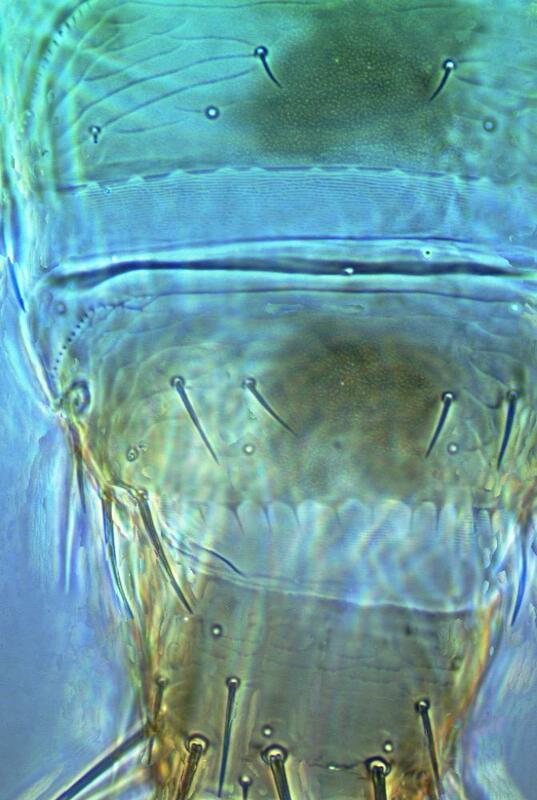 Metanotum with 2 pairs of setae at anterior margin, campaniform sensilla usually present. Fore wing with 2 complete rows of veinal setae. 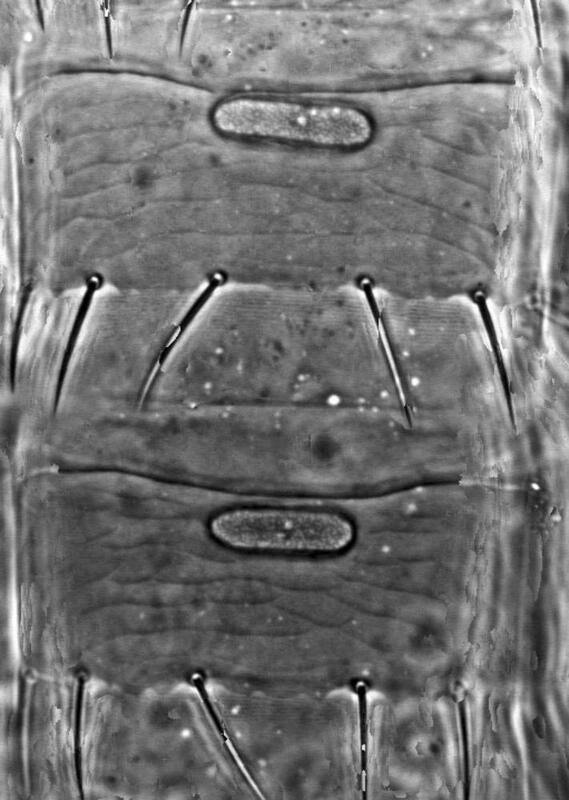 Abdominal tergites V–VIII with paired ctenidia, these sometimes weakly developed on IV, on VIII anterolateral of spiracle; posteromarginal comb on VIII complete, with short slender microtrichia arising from triangular bases. Sternites III–VII without discal setae. 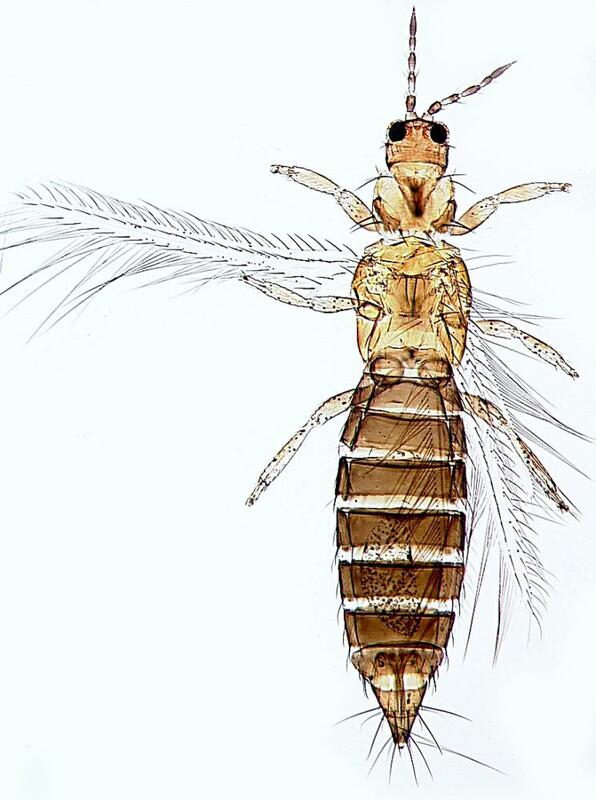 Male smaller and paler than female; tergite VIII with no posteromarginal comb; tergite IX posterolateral setae stout in larger males; sternites III–VII with transverse pore plate. In California, females of wild populations commonly occur in three different color morphs, dark, light and intermediate (Bryan & Smith, 1956). The dark forms are particularly common in montane areas. In contrast, populations associated with crops usually involve just the intermediate form (only teneral individuals being much paler), in which the abdomen is largely yellow with a dark patch medially on each tergite. Rugman-Jones et al. (2010) indicated that two species exist within populations of occidentalis, but these can be distinguished only by the use of molecular data. Currently 230 species are listed in the genus Frankliniella, with up to 130 further names placed into synonymy (Nakahara, 1997). This high rate of synonymy has been due to unrecognized variability in size and color of so many species. This variability is indicated in the more common species such as F. occidentalis by the large number of synonyms listed. 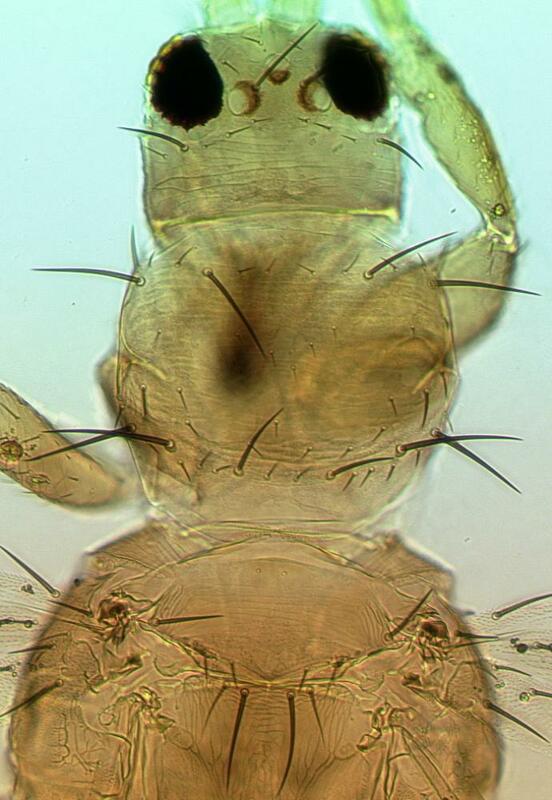 This species is very similar to F. intonsa, but has the postocular setae considerably longer, and usually (but not always!) has campaniform sensilla on the metanotum. Recorded from a very wide range of plant species. Extensive damage to many crops worldwide, both through feeding damage particularly in young buds, and through vectoring tospoviruses. Distributed almost worldwide, particularly in temperate areas (Kirk & Terry, 2004).